The 15th season of CSA T20 Challenge is going on which was started in 10th November, 2017. Now the group stage matches of the competition has almost over. There are six participants have competed here but among them top point holder four teams will qualify for the semi final round. 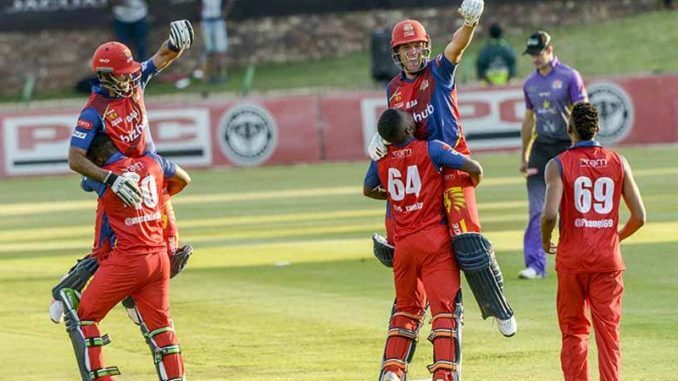 Lions and Warriors are the two top rated teams and considering the schedule this two teams have competed in the ongoing season of T20 competition twice times. In both cases, Lions faced defeat against Warriors. Last time they met in 8th December, 2017 and Senwes Park, Potchefstroom hosted the match. Lions lost by 4 wickets against Warriors in the game. Till now in the season, Lions has played total ten matches but managed just two victories out there. So, they are in 5th position and would not get chance to play the knockout phase. On the other hand, Warriors managed four victories out of ten matches and so, they are in fourth position on the ongoing season point table. If all the calculation will remain same, they would play the semi final as one of the four teams. Earlier in 8th December, 2017 Warriors won the toss and decided to bat first. Warriors scored 133 runs by losing four wickets at Senwes Park where JJ Smuts scored highest 69 runs so far. On the other side, Lions scored 92 runs by losing seven wickets in 10 overs. They could have won the match but considering D/L method, they lost by four runs. For the team Lions Reeza Hendricks scored 41 runs. Parnell and skipper Smuts started the innings for Warriors. In just 2 runs Parnell was gone with scoring just 1 run. Later, in 2nd wicket partnership between Smuts and Ingram, they added more than 45 runs. Ingram was gone by scoring 17 runs where at the end of the crease Smuts remained strong. Ackermann came to bat after Ingram but scored just 3 runs. Finally, Jonker and Smuts finished the innings. Due to rain, they could not play whole 20 overs but played 17.1 overs so far. Fortuin took highest two wickets for Lions. Lions came to chase the score and opened their innings with Dussen and Hendricks. In 9 runs Dussen was gone. He scored 4 runs. In 10 overs, they lost top seven players but at the end of the crease, opener Hendricks remained not out. He scored 41 runs. Excluding him just Rickelton scored two figure runs. After 10 overs, their score was 92 in exchange for seven wickts. So, applying D/L method, Warriors was announced winner of the match.